Plums picked fresh from the tree and straight into the baking tray. 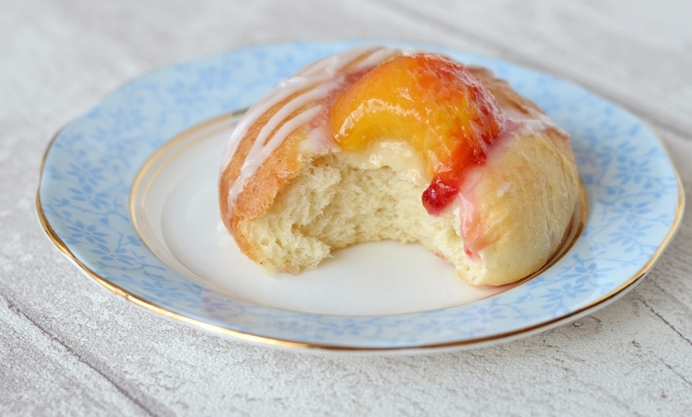 Helen Jessup gives us her seductively sweet sticky plum buns recipe. We picked our first (and only) crop of plums recently, and it would appear that we picked them just at the right moment, as they were soft enough for the stone to fall out easily, yet firm enough to hold their shape. A few were eaten straight from the tree and were lovely and sweet and juicy, and I can’t wait until next year for a (hopefully) bigger crop. I wanted to use them in a recipe that would highlight them rather than hide them away under a pie crust or crumble topping. I decided that they would be a perfect topping for a sweet bun, and I was right. 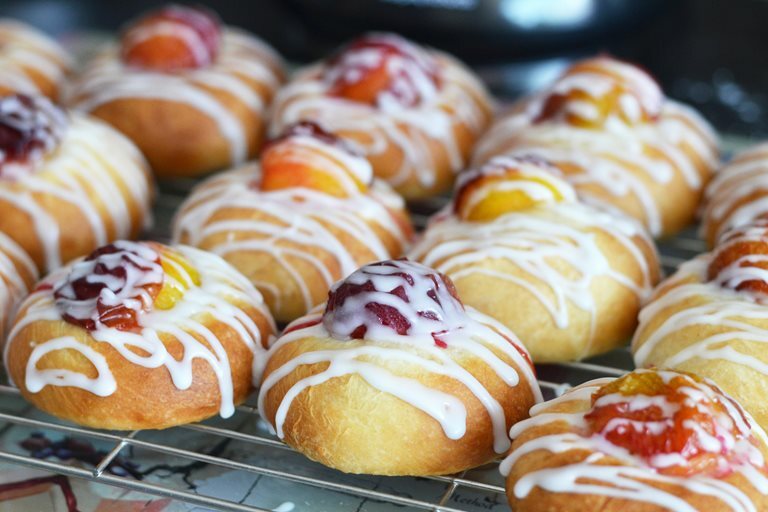 Once the plums are cooked they soften and turn almost ‘jammy’ whilst still retaining their sharpness, which contrasts well with the sweetness of the icing. Helen is a recipe developer and food blogger living in the Midlands with her husband and three children.